Unbeatable location at Cedar Cottage, close to shops, restaurants, transit and schools. 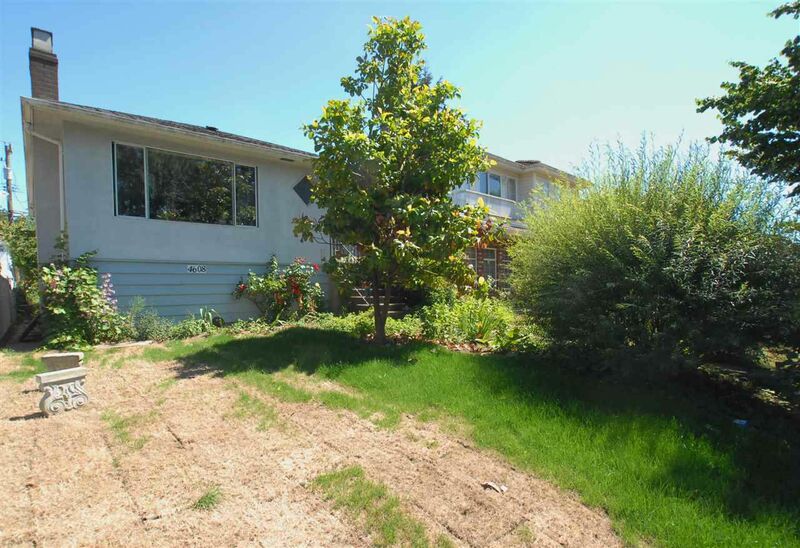 This cute home sits on a large 33' x 122' lot with back lane for future laneway house potential. Perfect for investors who would like to keep great tenants and hold for future redevelopment or a renovation project. The house is in nice condition; roof done 2001 w/ 30 yr warranty, electrical done 2002, exterior paint 2012 and more. 4 cars easily can park in back. The area is undergoing tremendous changes with townhome projects selling out and others coming. Save-On-Foods just a 10 min walk and bus stop on Kingsway is just a 5 min walk - it's no wonder this location has an 87 Walk Score! Super convenient location and a great property to grow your investment.